The 2010 Romanian Chess Championships for Women and Men were held from 31st January until 7th February in Baile Olanesti, under organization by ACS Elisabeta Polihroniade. Women competition featured 40 participants, while the men section had 145 players. The men’s section finished with a three-way tie on the top, after GM Constantin Lupulescu, GM Vladislav Nevednichy and, surprisingly, FM Robin-Alexandru Dragomirescu won their last round games. 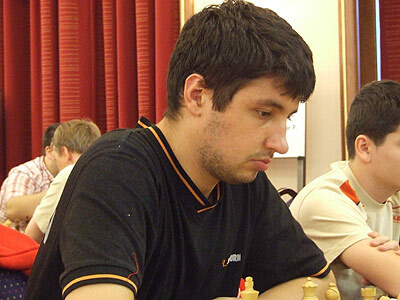 Lupulescu was declared the Champion thanks to his superb tiebreak score. In the women’s group, the leader from the very first rounds of the tournament, WGM Elena-Luminita Cosma, signed a draw against another Dragomirescu – WIM Angela, and allowed WGM Iozefina Paulet to reach the shared first place by beating the colleague WGM Mihaela Sandu. The title, however, still went to Cosma after summing up the additional criteria.